Ep. 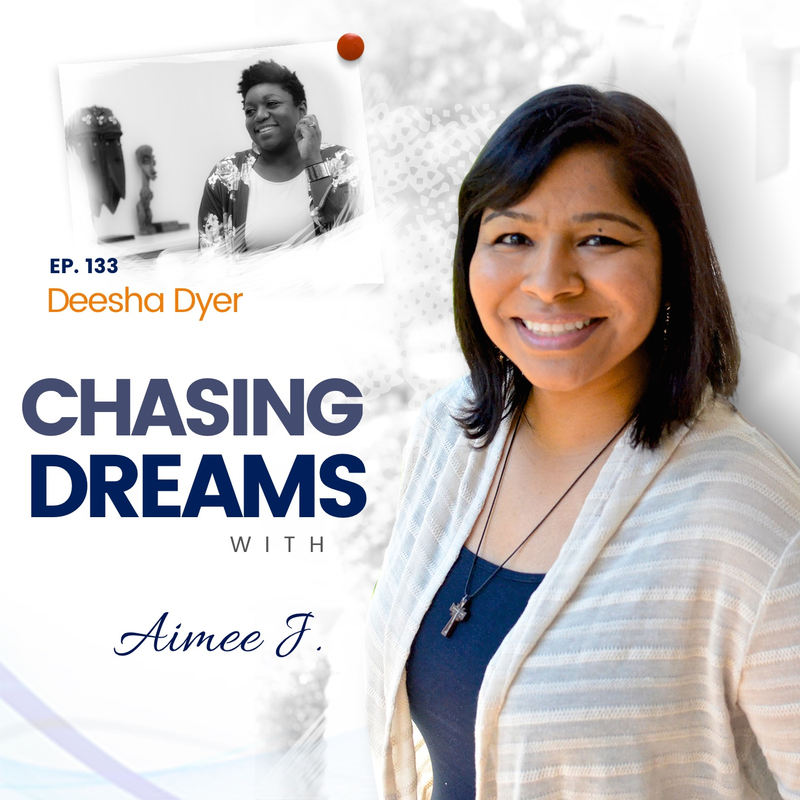 133: Deesha Dyer – From College Dropout to White House Social Secretary, Dreams Can Come True | Aimee J.
Deesha Dyer is a speaker, writer, Creative Event and Strategy consultant, and is most notably known as the former Obama Administration Social Secretary. The Philadelphia native became a White House intern at the age of 30 and completed a seven-year tenure there that honed her expertise in event coordination, logistics, protocol, and statecraft. Her storied career is unconventional at best, with themes of reinvention, drive, and a commitment to community service integrated throughout. 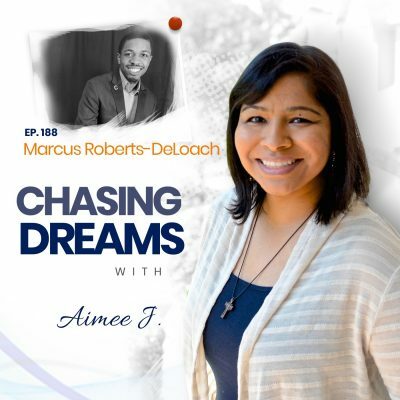 An award-winning event producer, Deesha has been featured in national media outlets including TIME, The New York Times, Marie Claire, Essence, Vogue, Refinery29, Forbes, The Root and Washington Post. 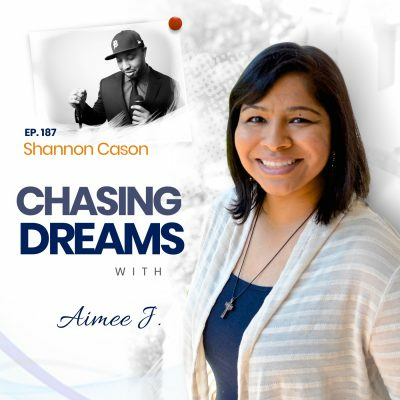 A charismatic speaker with unbridled optimism, she now shares her message of hope, hard work and living life on your own terms with audiences across the country, while running her private consulting firm. How determined are you to “go for it” and accomplish your dreams, even when they are beyond your wildest imagination? Deesha is a testimony to perseverance and being a “regular person” with some very big dreams. She had never thought about a career related to politics until Barack Obama became president. She related to him and was determined to work for him somehow, even though it seemed absurd. She got an application for an internship, applied, and soon had a permanent job at THE WHITE HOUSE! How do you prepare for a job in the White House? Deesha had planned parties and events before, but she had to learn fast when she landed this job. She served as Special Assistant to the president, as hotel director who traveled with the president and first lady, and as the White House Social Secretary. “Who would have believed that there would be a black First Family and that I would get to work for them?” She admits that the 17-year-old Deesha would have never thought she was “good enough” to end up at the White House. How can high school girls be elevated and empowered to gain confidence and find their voice? Deesha believes it can happen through the program she co-founded in 2014. The program takes 12 girls for a 2-year class, teaching them to express themselves and learn about their world by traveling and experiencing different surroundings. The girls obtained passports and took their first international trip to London and Paris recently. Some of these girls have gone on to study abroad and have learned about foreign service, diplomacy, and global jobs that are available to them. They can represent themselves well wherever they go, all because of this educational and empowerment program.